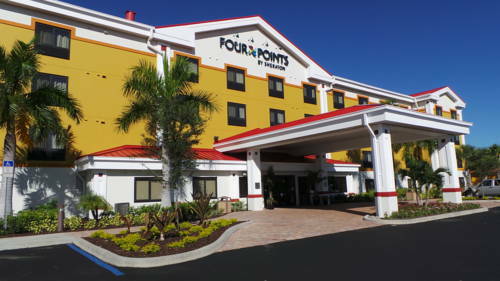 Recently updated guest rooms and a full range of amenities make our hotel the perfect gateway to all that Southwest Florida has to offer. Four Points Bar & Grill: Our welcoming restaurant features a full bar and the convenience of ordering from the pool. Join us on Wednesday evenings for our Brews & BBQ, where you can sample local beers and meet fellow guests.